Drawing on over 40 years’ experience and expertise in the specialized airport environment, AEROZEAL has the ability to provide clients with advice and solutions in all areas of operation. With over 35 years of involvement in all aspects of the aviation world, we are constantly dealing with the ever-changing and often challenging requirements of UK legislative issues and wider European influences affecting airports and service providers, which constitute a major part of any work we undertake. • Over 15 years as Airport Manager at a major general aviation airport in the South of England. • Air Traffic Control Officer with Approach and Aerodrome (instrument) ratings; on the job training instructor; meteorological observer with both METAR and Synoptic endorsements. • Operations and infrastructure responsibilities encompassing consultation with the Civil Aviation Authority. • ‘Special Event’ organisation and controlling in relation to all airside operations at British and European Grand Prix, Royal Ascot , Cheltenham Gold Cup, and Epsom Derby Day horse race meetings and at a number of water based events in the Solent where safety with the complex mix of craft is paramount. • Assisting the UK Civil Aviation Authority in completing guidance and regulations on the use of Waterdromes in the UK. • Recently served as Chairman of the Airport Operators’ Association (AOA) , General Aviation Committee and as Executive/Board Member. • Input into several working groups within the CAA including Rescue and Fire-Fighting, Air Traffic Control Training and Communications Group and Operational Liaison. • The systematic management of safety and Safety Management Systems (SMS) is an ever developing aspect of the Aviation Industry and work is continuing with the CAA to ensure that a ‘joined up’ approach to this subject is adopted. After obtaining a Management Degree at Southampton Solent University Andy started a telematic technology business developing products and services to meet growing commercial international legislation. In 2002 he was successful in securing substantial private investment to consolidate the technology and invest in the marketing and sales strategy of the business. 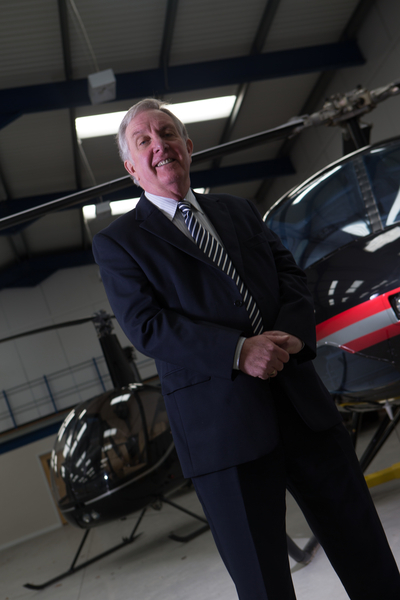 Andy left the company in 2004 to pursue other activities including the brokering of helicopter charters both in the UK and Europe. After completing a number of project based related positions in 2006, he returned to the telematic business at the request of the new managing director to take the position of Operations Director. Andy now acts for Aerozeal Ltd as a part time consultant providing commercial advice in the management and promotion of small airport related activities. 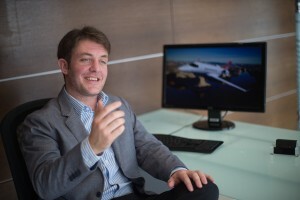 Andy has a variety of commercial and acquisition skills as well as aircraft brokerage and worldwide aviation connections together with the ability to engage with high end corporate operators and owners. Jon Nash is an industry professional who has worked behind the camera almost non stop since the age of 16. Its all he has ever known and had dedicated over 2 decades of life to to creating visual images for clients world wide . His experience as a world wide published and acclaimed photographer was the perfect grounding for his transition into film. He has worked with blue chip clients spanning the globe including Hugo Boss, Camel Trophy,Louis Vuitton, Helly Hansen , Musto, BT, Champagne Mumm to name a few. His easygoing personality and ability to take the pressure off the client by delivering to the brief make him a natural choice for most commissioning producers and clients investing in strong visuals. His strong background in adventure sports has seen him endure literally 1000′s of hrs working in hostile environments such as offshore yachts and arctic conditions which is a testament to the fact that he has the stamina for almost any project that be put his way. He is trained in the RED ONE an owner operator of a Steadicam Archer with officail Steadicam training. 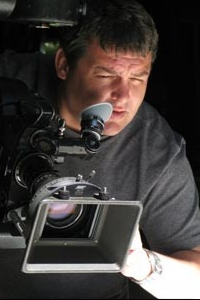 Film schooled in America and camera workshop trained by NFTS, ARRI and Panavision. Jon works as a freelance director of photography / lighting camera man as well as a producer within our in house team of film professionals. However, Jon’s move into aviation has proved equally exciting… Watch the movie below! !